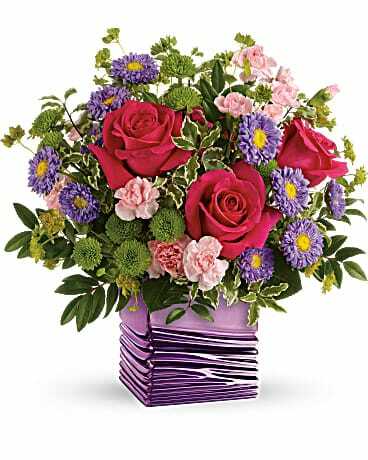 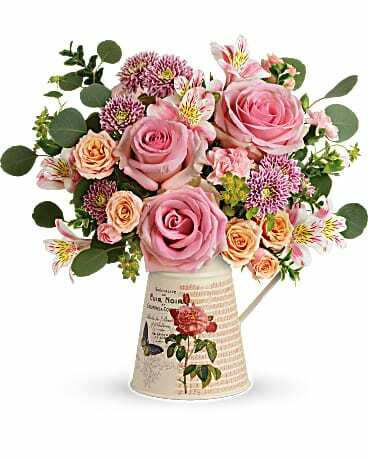 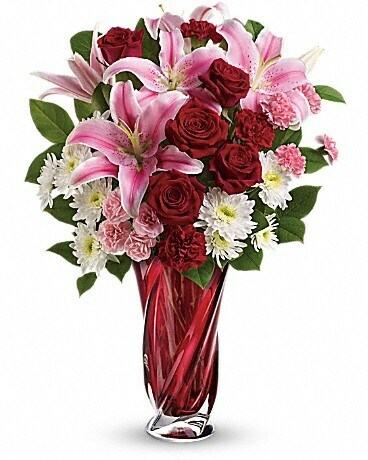 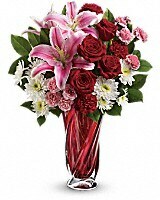 Show her the many colors of your love with this spectacular arrangement of romantic flowers. 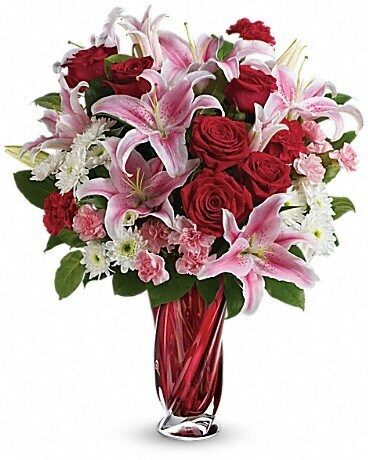 Hand-delivered in a stunning, limited-edition art glass vase, this bouquet of fragrant pink lilies, rich red roses and snow white chrysanthemums is truly a recipe for pure romance! 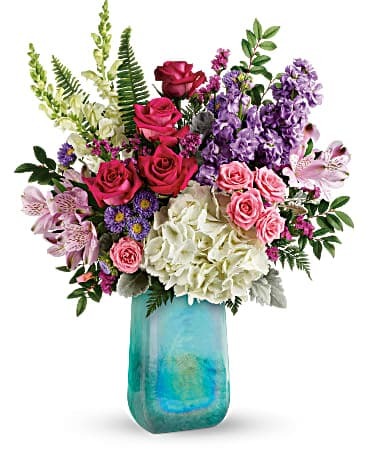 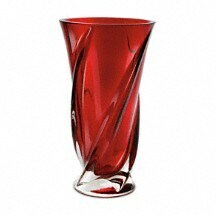 This magnificent art glass vase is part of Teleflora's exclusive Flowers-in-a-Gift collection. 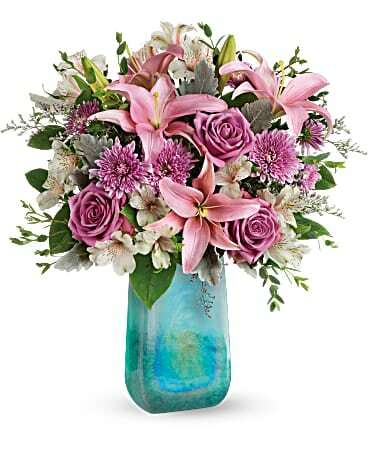 Elegantly crafted, this exquisite keepsake complements every bouquet.